Being an avid foodie can prove to be a bit of a hassle sometimes, and the most common first world problem :”where/what to eat?” isn’t exactly a great conversation starter, right? Well, I’ve always liked looking through pictures on Instagram because with the help of my café-hopper friends/foodies, I can discover new places to dine! But sometimes, taking screenshots or writing down places can clutter up one’s phone and be quite troublesome when it comes to looking for addresses and opening hours. 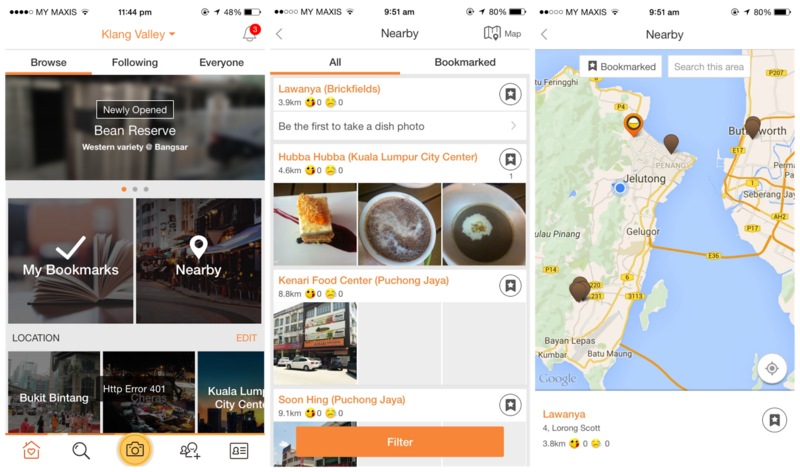 So, I’m here to introduce – OpenSnap, an online platform & app designed to enable users to upload foodie pics & search nearby restaurants for good food , as well as leave their own reviews and ratings! I’ve been using this app since 2014(when they first launched, I believe) and recently, they’ve rolled out additional features & enhancements. The app is available in most major cities & districts in Asia so you never have to worry about not being able to find food. it's very easy to select your desired location. I love the app’s simple & clean interface. One of the new features is that you’re able to personalize your location! 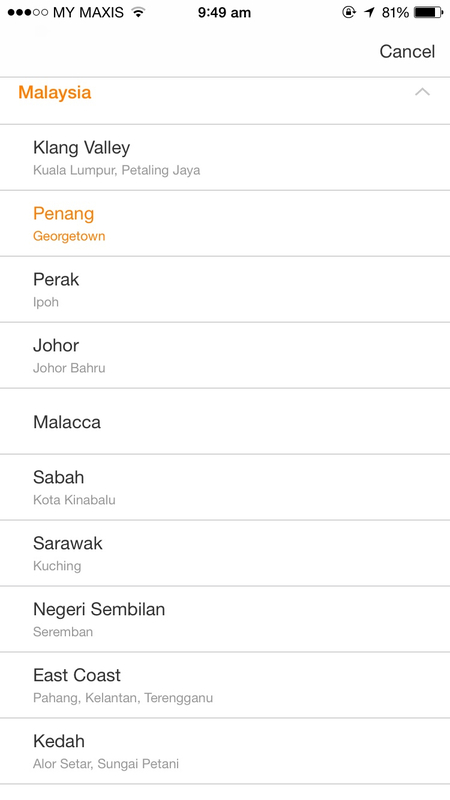 When I arrived back in Penang and opened the app, it immediately gave me an option to browse there. 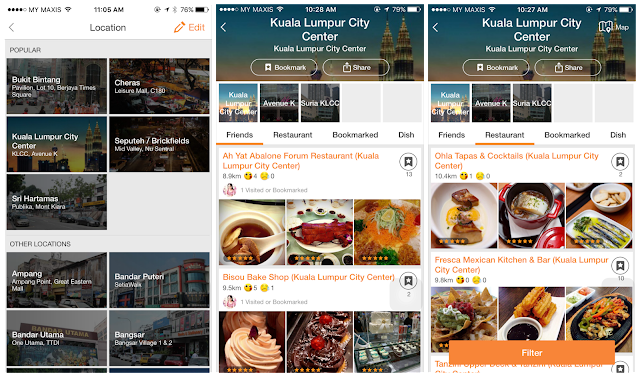 Similar to instagram, you’re able to follow your friends and other cool foodies on the app. 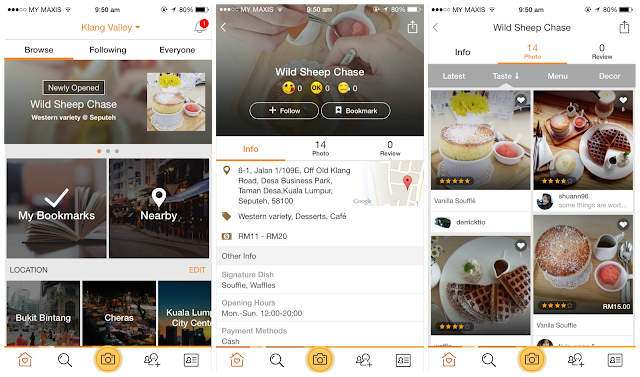 That way , you’re able to check out places your friends have visited or bookmarked , and even check out a live food photo feed across Malaysia or the regions! Being able to search by location makes finding food a breeze, too. You can see both restaurants in the area, and the ones your friends have posted about. Also available are recommendations of areas nearby. My friends & I decided to visit the newly opened Wild Sheep Chase café during my short stint back in Klang Valley over the weekend because of the good feedback (an average of 4.5 star ratings) from the users on OpenSnap, and it certainly didn’t disappoint ! I also love checking out editor’s picks & newly opened places, like the latest Bean Reserve, featured on the app’s banner, as well as the Nearby & view on map feature which comes handy when you're in an unfamiliar area too . Sounds good , yes? Why don’t you download it and give it a try? 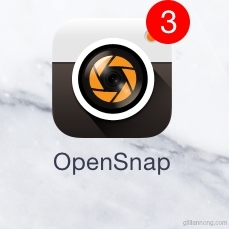 Meanwhile, you can also check out recommendations & articles from OpenRice on OpenSnap. You can check out some of my photos there too if you like !